The cheapest business class flights to Los Angeles from London we found for a client in the past month were for an amazing £1,789 return. To get today’s best price simply complete the form on this page and we’ll get back to you quicker than you can say City of Angels. Air New Zealand, American Airlines, British Airways, Virgin Atlantic and United Airlines all offer direct business class flights to Los Angeles International from London Heathrow. Norwegian Long Haul offers flights from London-Gatwick South Terminal with a premium cabin, although this airline doesn’t offer lie-flat seats, only extra legroom. At Heathrow, British Airways flies from Terminal 5, Air New Zealand and United fly from Terminal 2, and Virgin Atlantic and American Airlines fly from Terminal 3. Want to know which airline offers the best business class from London to Los Angeles? Read our guide here. At LAX most travellers choose to hire a rental car as LA is very vehicle-centric and spread out. We’d recommend pre-booking online before you go, although you can also hire one at one of the car rental desks when you arrive. If you’re not planning on renting a car then you can easily grab a taxi from outside the arrivals hall, but be aware it can take a long time to get into the city due to traffic. UberPOOL is available at LAX and can be one of the most cost effective ways to get to your hotel as you’ll be splitting the costs with other riders. Just be aware that Uber can’t pull up at the ordinary taxi stands, so you’ll have to make your way to the car park to pick it up. Shuttles are also available to the Metro Bus Center, where passengers can board public buses serving the Los Angeles area. If you’re looking for a hip and happening hotel just steps from the Hollywood Walk of Fame then why not compliment your business class flights to Los Angeles with a stay in the W Hollywood hotel or, The Hollywood Roosevelt. Both are just steps away from the star-lined pavements and have great pools where you can soak up the sun on a hot summer’s day. Alternatively if you’re planning a luxury getaway then West Hollywood has some upmarket boutique hotels, including Mondrian, Petit Ermitage and the famous Chateau Marmont, which is frequented by many celebrities. For business travellers who need to be close to Downtown LA we’d suggest The Standard – a minimalist-modern boutique hotel with a gorgeous rooftop bar offering panoramic mountain views. The hotel is close to the financial district and features oversized guest rooms, free Wi-Fi and super comfy beds with egyptian cotton sheets. Hollywood Walk of Fame – Celebrities who achieve a certain level of success have a star embedded into the sidewalk on the Hollywood Walk of Fame. It’s always fun to stroll down this street and look out for the star of your favourite celebrity, or if you’re lucky you might even catch sight of a celebrity being inducted into the Walk of Fame. Beverly Hills tour – As you walk down Hollywood Boulevard you’ll be greeted by many ticket touts offering bus tours around the celebrity homes of Beverly Hills. It’s definitely a touristy activity, but a great way to see the more residential parts of LA as well as Rodeo Drive, where Julia Roberts went shopping in Pretty Woman. Venice Beach/Santa Monica – No trip to Los Angeles would be complete without a trip to the beach. Venice and Santa Monica are the closest beaches to LA, although the two are very different from each other. Santa Monica is a more family-orientated destination with a pier that is home to the Pacific Park amusement park, historic Looff Hippodrome Carousel and Santa Monica Pier Aquarium. Venice Beach on the other hand draws a bohemian crowd and is a great place for people watching. Here you can gather round to watch street performers entertain with their dance routines or sit and watch skaters perform impressive stunts in the skate park. Griffith Observatory – For the best views of LA you’ll want to head up to the Griffith Observatory in Griffith Park. Occupying a perfect vantage point on the south-facing slope of Mount Hollywood, the observatory offers expansive views over the whole of LA and beyond. The best time to visit is just before sunset, so you can snap some photos before heading inside to gaze at the stars through the giant telescopes. Top Tip: If you’re looking for the best places to take Instagram-worthy photos in LA, SkyClub recommends heading to the Paul Smith Wall – a giant pink wall in West Hollywood where you can strike a pose.The Los Angeles County Museum of Art (LACMA), also has a beautiful outdoor installation called Urban Light featuring 202 restored street lamps from the 1920s and 1930s. 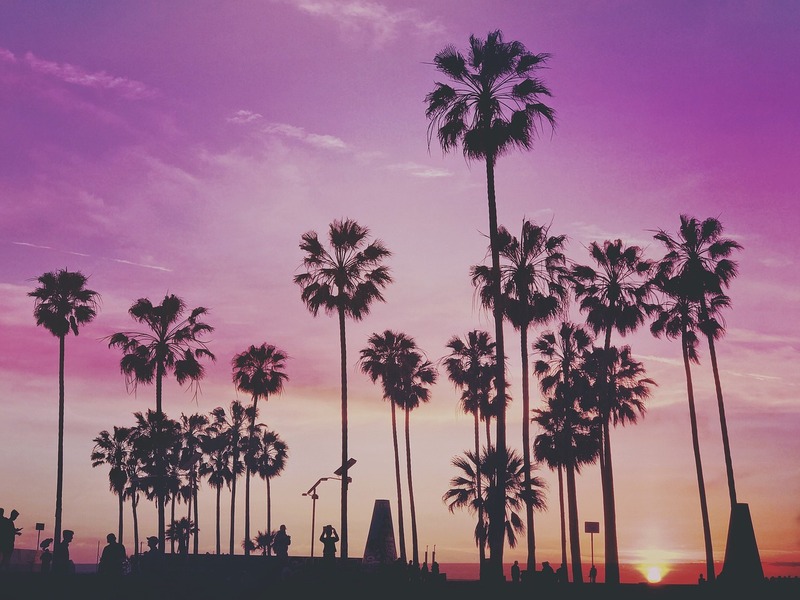 Los Angeles has a mild climate with up to 300 days of sunshine per year, so you can expect much warmer weather than the UK when you’re there. Even in the coldest months (December to February) you can get away with a jacket or light coat. If you’re a British Citizen travelling to LA as a tourist or for a short business trip then you can usually enter the US under the Visa Waiver Program. Just remember to apply online for your electronic ESTA before you go – it will be valid for 2 years. To get the best cheap Business Class flights to Los Angeles, simply complete the form on this page or call 0044 207 255 1234 to speak with one of SkyClub’s fast and friendly experts. We will find you special, discounted fares that are not available online. So, by the time you take your business class flights to Los Angeles, you’ll feel happy knowing that you’ve paid less than the person seated nearest to you! Have a great trip and – if you want to save money – please book with SkyClub.